After his important experiments with ramen poutine, the dude behind Culinary Bro-Down has expanded his noodle studies to breakfast treats. 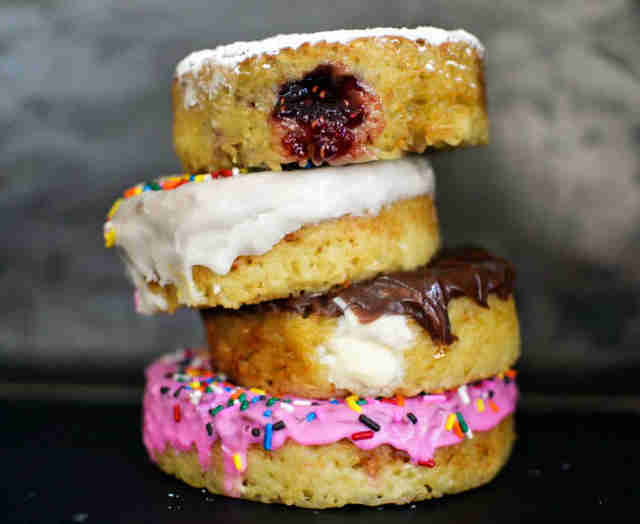 Gracefully dubbed "ramnuts", these donuts are composed entirely of fried ramen discs, and they demand your immediate attention. 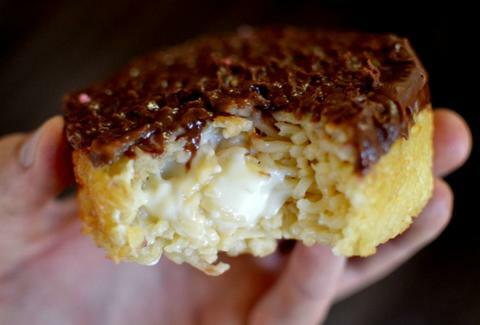 Sculpting instant ramen into a donut is a slightly counterintuitive process. First, you're going to cook the noodles in boiling water and horchata for three to four minutes, eventually straining the stuff and mixing it in with three whisked eggs. Then, it's actually going in the freezer for three to four hours. After the blocks are semi-frozen, it's time to hack them into donut shapes and then cook them again -- this time in oil -- for a few minutes, until they're golden brown on each side. Once you've drained any excess oil, you can add whatever fillings or frostings your heart desires. Mr. Bro-Down incorporated powdered sugar, jelly, cream, various frostings, and sprinkles into his batch, so clearly anything goes. Hell, throw a Snickers in them while you're at it. Kristin Hunt is a Food/Drink staff writer for Thrillist, and wonders how weird a basic glazed ramnut would be. Follow her to hypotheticals at @kristin_hunt.